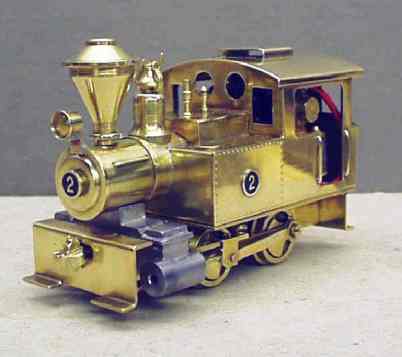 Below is a very tentative list of model railroad items imported by Ken Kidder. It seems that there was never a Ken Kidder “catalog” as such, but rather a series of catalog sheets which listed what was available at that time. I have reproductions of some of these sheets from the period between 1964 and 1972. The following information is derived from them and, as such, cannot be considered a complete list of what Ken Kidder imported into the United States from Japan. Additional items will be added as information becomes available. 57’ Japanese Rapid transit coach, unpow. Passenger/baggage comb., Indiana 370 ser. As noted earlier, the above list is far from complete. Various sources establish the start of Kidder’s import operations as being in the late 1940’s, and the table above is derived from catalog sheets for the period between 1964 and 1972. And, I have at least two items in my collection that are not shown above, so this is a work still in process. In preparing the table from the catalog sheets, I have left out a lot of smaller items. Kidder also sold “Parts Items”, much of which were parts that were used in the manufacture of the line items imported from Japan. So, you could buy individual siderods and crossheads for use in other projects. Likewise, Kidder sold drive wheels, trucks and track parts for H0n3 layouts; this at a time when H0 narrow gauge was a rarity. All of which proved to facilitate the model railroad hobby in an interesting sector. Many of those buying a Kidder locomotive promptly set about modifying it to meet their individual needs. Some of the items imported by Kidder were clearly items that had originally been manufactured for the Japanese market. Items in the 4000 series were all originally meant for the domestic market, but Kidder brought them into the United States, probably in small quantities. Again, this was to serve the possible needs of American modelers who wanted to modify them further.